Pink 9" Paper Dinner Party Plates 16ct. 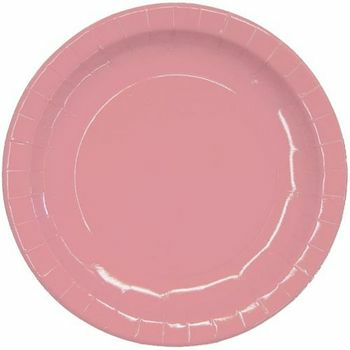 Pink 7" Paper Salad / Dessert Party Plates 16ct. Pink Lunch Napkins Paper 20ct. Pink Beverage Paper Napkins, 20ct. Pink Paper Party 9oz. Hot/Cold Cups, 8ct. 16oz. Pink Plastic Cups 50ct. Pink Rectangular Plastic Tablecloths 54" x 108"